This great French racing driver should have been the Formula 1 world champion. He developed a fascination with cars from a young age. In 1930, barely out of his teens, Jean Pierre Wimille made his French Grand Prix début, driving a car he dreamed of, a Bugatti. He spent 10 years on the greatest racing tracks with this legendary brand. In 1937, Ettore Bugatti took entered the Le Mans 24-hours with the fabulous Tank 57 G , the two motor racing drivers, Jean Pierre Wimille and Robert Benoist won the first prize. This victory marked the start of a great friendship between the two men. Jean Pierre Wimille added a string of wins and speed records to his name. 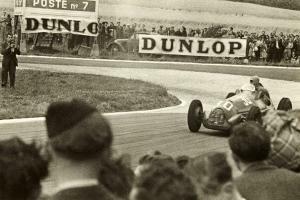 He won 22 competitions, including some of the most legendary such as the Le Mans 24 hours, the Coupe de Paris, the Grand Prix Dell ‘ Autodromo on the Monza circuit, the European Grand Prix in Spa, the ACF Grand Prix in Montlhéry, among many others. In the Spanish Grand Prix in 1935, he came fourth after a bitter duel, just behind the three super-powerful Mercedes Silver Arrows, leaving behind him the formidable Auto Union V16 driven by the no less formidable Bernd Rosemeyer . Jean Pierre Wimille was well known among the greatest racing drivers in the world. Motor racing disappeared during this cruel war. Jean Pierre Wimille and his friend Robert Benoist enlisted in the French army. June 1940, the war was lost and France, occupied. It was during these dark times that Jean Pierre Wimille was to marry Christiane de la Fressange, better known as “Cric”. He planned to take part in the Indianapolis Grand Prix in the United States, but was refused permission. France was enduring hardship and rationing. Jean Pierre Wimille was always practical, he began to work on plans to build an electric vehicle, based on the structure of fuel-less petrol vehicles. The prototype worked well but without engineers and financial backers, only one model was produced. 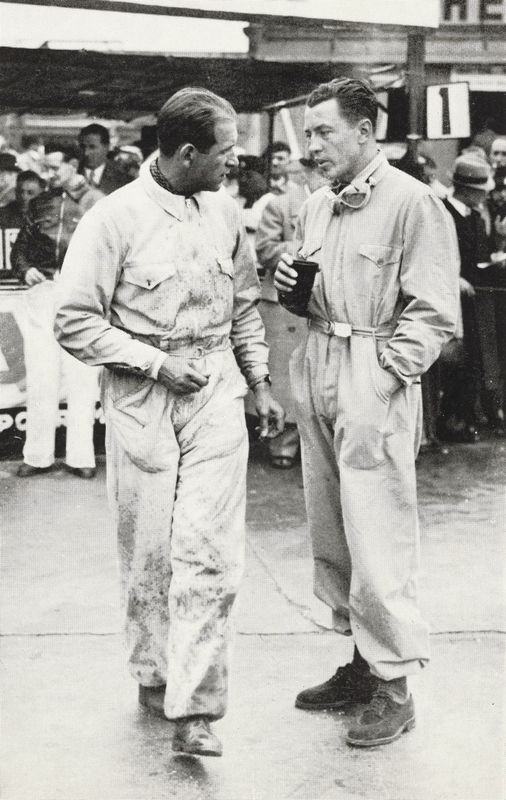 But the need to take action against the occupier was urgent, Jean Pierre Wimille joined the “Clergyman” resistance network at the same time as his motor racing driver friend, Robert Benoist, Stella and Robert Teyssedre and Antoine, a mechanic at Bugatti. At the wheel of an old Gazo truck, they transported weapons and ammunition, and spent nights recovering containers parachuted for various resistance groups. After numerous covert investigations, Gestapo officers arrested the members of the Clergyman network during the summer of 1944. Only Jean Pierre Wimille managed to escape and hide in a stream. Robert Benoist, Wimille’s companion and co-driver, was arrested and tortured in Fresnes prison where he left a message, “Above all, never confess”. He was deported to Buchenwald concentration camp and executed on 12 September, 1944. Jean Pierre Wimille’s wife, Cric, was arrested and imprisoned in Fresnes. However, by chance, she escaped from the wagon of a convoy bound for the death camp. 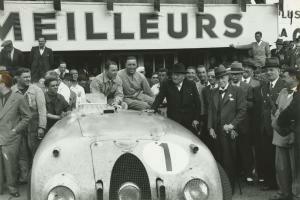 When the war ended, JP Wimille found himself once again behind the wheel on the racing tracks where he lived up to his reputation of Great Racing Driver, wining the Coupe des Prisonniers in a Bugatti 59 single seater. Jean Pierre Wimille lived for “Motorcars”. He recalled the motor vehicle exhibition of 1937 where he had previously considered the idea of the car of the future. He had sketched out the main lines of this project, shattering the principles of legendary manufacturers. A fast, lightweight car was required with a powerful engine but low cylinder capacity and above all, a structure integrated into a fully aerodynamic body. With the help of his engineer and mechanic friends, he was to realise his plan during this wartime period. A tubular structure, engine and central steering. It was not far from the formula 1 configuration! A streamlined body was designed with a panoramic windscreen, integrated headlights, independent wheels and electrical control gear box. Three versions were already planned, a 70hp Grand Tourisme; the Sport, with a 100hp V6 1,500cm3 engine; and a 220hp racing version expected to reach speeds of almost 300km/h. This was how the Wimille GT came into being on paper in 1943. 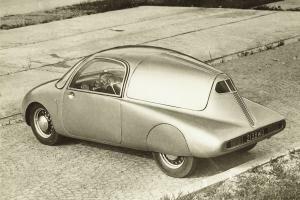 1946, the first appearance of the Wimille 01 prototype was an immediate success. The car’s shape and design was revolutionary. Due to lack of time, the V6 engine planned was replaced by a Citroën Traction engine, which made it possible to conduct initial tests over long distances and present it officially in 1946. Although Jean Pierre Wimille did not give up competing, he continued his racing driver career with Alfa Romeo, winning eight prizes, including the Swiss and Belgian Grands Prix. Two men, Wimille and Gordini, met at a traditional new-year’s eve dinner. This was the start of a great friendship and great motor racing story. Gordini built and Wimille drove. Gordini "Le Sorcier" (The Sorcerer)’s little single-seaters were certainly less impressive than the Bugatti and Alfa Romeos, but, thanks to Jean Pierre Wimille’s talent, Gordinis soon proved to be very efficient and quite formidable. In less than two years, the Gordini/Wimille partnership won five victories and carved out a place for itself with the major manufacturers. Jean Pierre Wimille entered race after race with the Alfa Romeo team, winning three consecutive victories behind the wheel of the powerful 308: the Coupe de la Resistance, the Grand Prix du Roussillon and the Grand Prix Burgundy. At the same time, JP Wimille continued to make progress with the car of the future project, following the first appearance of the prototype, he was in high demand in connection with the future of this revolutionary motorcar. The very modern image of the car and the charisma of the designer attracted the attention of Maurice Dolfus, CEO of Ford France. The greatest difficulty for a lone manufacture is to exist among major brands and in order to bring his project to fruition, Wimille signed a contract on 28 February 1948 with Ford France. The manufacturer promised to create a “Special Cars” department to produce the Wimille, but only on condition of being the owner of the design, the plans and the patents. A friend of Wimille’s, Albert Marestaing, was appointed manager of this new production. The JPW 01 had proven its mettle by travelling thousands of kilometres but needed to be “civilized” in order to obtain the certification that would lead to production. The front-wheel axle unit, steering, engine and suspension were signed Ford France and the electrical control gear box was supplied by Cotal. Jean Pierre Wimille met the young stylist Philippe Charbonneaux, who also designed planes, alarm clocks, trucks and motorcars. Philippe Charbonneaux was very soon to redesign the car, maintaining its very aerodynamic line. Much deliberation and numerous drawings and sketches finally led to a 1/10th model, leading to production of the first car body in the Faget Farnet workshop. The tubular chassis alone was road tested by Wimille, with only two wicker bar chairs and an uncovered engine. The car was a sensation, on his return to the workshop, Wimille was delighted and highly amused as the steering wheel had to be turned left to move to the right: the steering system had been installed in reverse. Besides this detail, everything was ready and the Wimille GY was presented at the 1948 motor-vehicle exhibition with great success. A beautiful catalogue presented a fundamentally modern motor car with a futuristic line, three front seats, an electrical control gear box and promising performances of 160km/h with a fuel consumption of 10 litres to 100km. For Jean Pierre Wimille and his team, it was the culmination of a great project that had begun during the second world war. He decided to move away from his racing career to devote himself to his new life in the world of motorcar manufacturing. 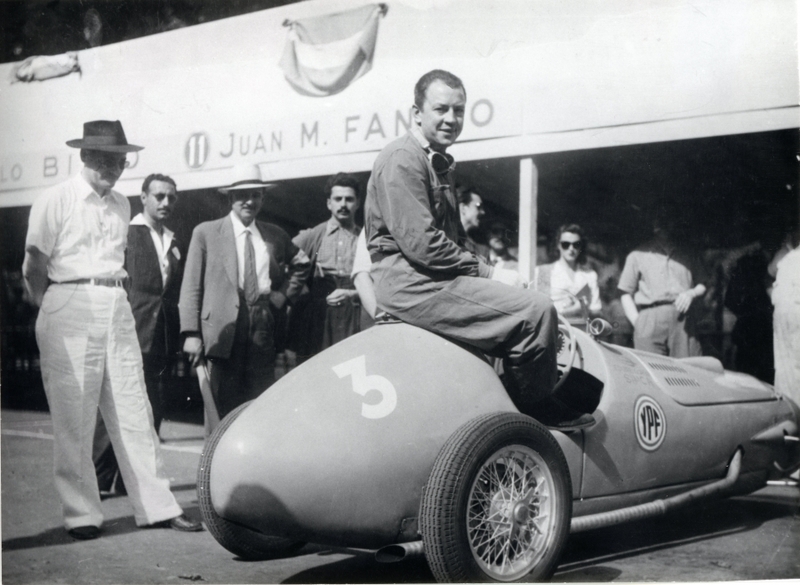 In January 1949, the Gordini team and its drivers were invited to Argentina to take part in a number of competitions. 29 January 1949 - Palermo Track Jean Pierre Wimille was warming up the Gordini for tests when a track superintendent offered him a helmet, which he had always refused; with four minor accidents in 180 races, a headband was enough for him. That day, to the astonishment of the other drivers, Wimille took it without hesitation. So, with his helmet on, Wimille quickly started up and began lapping the 6cm track. 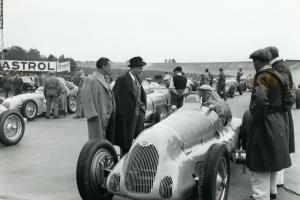 The Ascari racing driver was also doing a practice run at the wheel of his Maserati, he admired the quality of Wimilles’s driving who, despite the low power of his Gordini, sped through one bend after another with precision, while focusing on the sound of his engine and the response of his car. These practice runs were very popular, crowds gathered at the edge of the bends, eagerly awaiting Wimille, who always took bends with spectacular slides. But this time, Wimille was surprised by all these spectators waving their arms and almost touching him. There was only one option to prevent ramming the crowd, at 140km/h, he drove into the outside of the bend, perhaps a little too much, in an instant, the front wheels were thrust into the sand at the roadside, the Gordini flipped over vertically, fatally injuring its driver. Jean Pierre Wimille, the Great Champion, this exceptional man was gone. It was an enormous emotional shock to all of his friends in motor racing. While Wimille GT had come of age and was practically ready for production, the brutal death of its designer dealt it a fatal blow. Yet, the small team in the “Special Cars” department defended the project of this revolutionary car fiercely. A new “Cyclops” type prototype with a single headlamp was successfully presented Concours d’Elégance du Bois de Boulogne in 1949. But Ford France brought out a more commercial design, relegating the Wimille GT to the rank of conventional and functional saloon cars. The vanguard spirit had ceased to exist. What remains from this beautiful and tragic story is the memory of a man of great learning with an exceptional gift for motor racing and incomparable human value. He will long remain an example for other drivers. Juan Manuel Fangio, who was the great racing car driver among the greats, admired him. Miraculously, three of the four JPW GT prototypes, have survived. 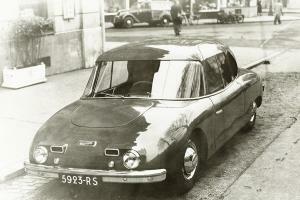 The first, with a Citroën engine designed during the Second World War, was used by the “Car of the Future" project team. In the 70s, Philippe Charbonneau, who will never forget the Wimille motorcar adventure, discovered the wreckage of the JPW 01 in the yard of a car body shop in Le Havre. He restored this prototype and exhibited it at Reims Museum. The second, with its central headlight, was badly damaged during a test run then scrapped. The third was registered 5923 RS and used by the son of the designer, François Wimille. This prototype was later preserved by Philippe Charbonneaux at Reims motor vehicle museum. Today it is looked after by the Cité de l’Automobile de Mulhouse. The Gordini single-seater type 15 - identical model to the one that suffered the fatal accident. 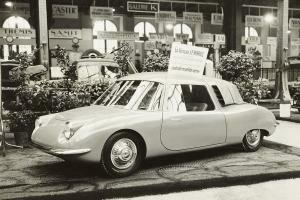 The three Wimille GT “Car of the Future” prototypes: JPW 01.Pilote Wimille – JPW 03 and 04.